Anfield Museum & Stadium Tour plus free time at Albert Docks. 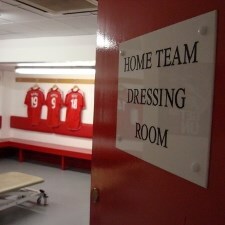 Go behind the scenes at Anfield and see the stadium through the eyes of Anfield greats themselves. 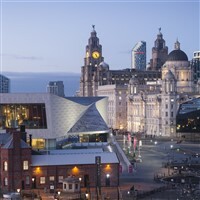 Then onto Albert Dock & Liverpool 1 for a bite to eat there's plenty to choose from the Centre is also home to 60 restaurants, cafes and bars in The Orient. Love Shopping ? the choice of 230 stores along three miles of granite and marble boulevards. Stores range from designer and high fashion favourites, including the first Selfridges outside London, to stylish homewares at Barton Square. 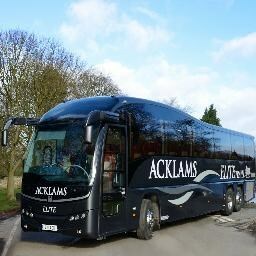 Tour Ticket, Free time at Albert Dock & Return Coach Travel. We plan to spend 2 1/2 hours at the Stadium. Time for a look around the shop and Stadium tour and Museum Tour. We then have two hours planned for Albert Docks.